"I saw in a vision where they planted some strange machines in the buildings of the twin towers weeks before the horrific disaster." I assume the planes crashing into the towers was to make it look genuine and acted as camouflage for the really intended orchestrated destruction that actually transpired. In seeing a video of the Twin Towers going down one can clearly see the metal of the building pouring out of the building. In the warning vision that I received today, it was as if I could see the Fallen Angels laughing at the crazy scientists and those using the nightmarish “Alien Technology”* as it is all designed to enslave mankind and bring him quickly down to Hell. I had the impression that the “Alien technology” had many unforeseen very negative side-effects. Experts have said that many have died because of “radiation poisoning” who were in the vicinity of the Twin Towers at the time of its demise. The very day before the 9/11 event in 2001, it was suddenly announced that there was to be an investigation into the disappearance of 2.3 trillion dollars in the pentagon’s budget! 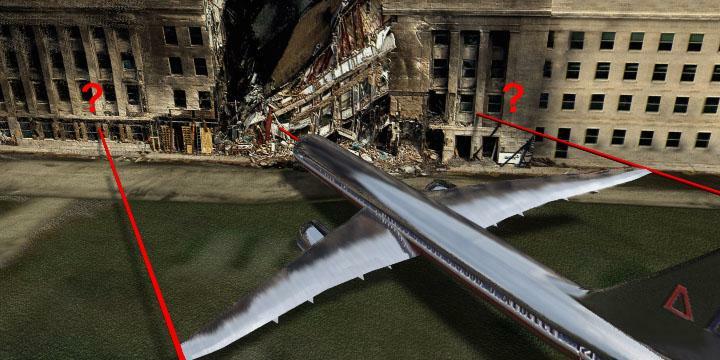 The very next day in the exact wing of the pentagon where 80 consultants and accountants were looking into the Pentagon’s accounts for the missing 2.3 trillion dollars was hit by a so-called plane (more like an automated guided military drone plane). Apparently 40 of the 80 accountants were killed and all the evidence as well. There was never a public inquiry into the matter afterwards but a hyped-up revenge call to go and get the terrorists such as Bin Laden, and Saddam Hussein. In 2011 we had the fabricated Arab Spring and the deposing of Muammar Gaddafi of Libya and his subsequent murder. Think how many leaders of countries the Elite have deposed and even had killed since 9/11? It is very sad to think how totally unscrupulous the elite really are! the heart and control centers of American power, New York City and Washington, DC. the cockpits of the various airliners and soon were at the controls - piloting mankind's most sophisticated flying machines toward a nefarious destiny. We later learn these pilots had trained to fly the world's most sophisticated jet airliners by obtaining a few hours of training in single engine, high winged, Cessna airplanes. At the Pentagon, the full throttled 757 flying in ground effect (making it very difficult to keep the airplane close to the ground - but these were highly trained Cessna pilots) just above the cars, knocking down lamp posts in the parking lot, again finds the laws of nature rescinded and is totally and utterly consumed by the building producing a gigantic, nearly circular, opening in the Pentagon wall into which the entire plane, wings and landing gear and enormous engines are swallowed. Luckily for the environment, not even the grass on the lawn outside the building was scraped or damaged, and nothing **at all** remained of the gigantic twin engine 127,000 lb. airliner; no engines, wings, passengers, luggage, miles of cable, debris, nothing! According to the CNN crew who showed up within minutes of the alleged crash, "There is no evidence of a plane hitting anywhere near the Pentagon." 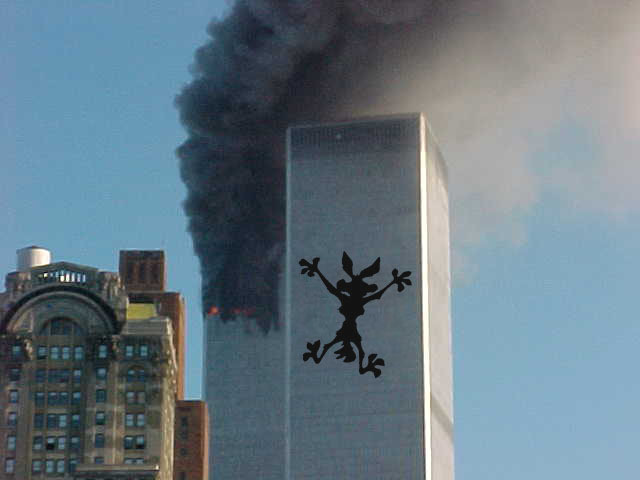 The "other" World Trade Center, building 7 fell at exactly free fall speed and strangely enough was never hit by an airliner or any other contrivance. It just fell to ground in a controlled demolition which was announced in advance on the BBC - predicted in advance . Prepping the building for a controlled demolition would have taken many days or weeks to be setup so it could be properly gutted by internal explosions before the then helpless outer shell could fall unimpeded. The non-critical thinking public was told Building 7 suffered collateral fire damage and kerosene fuel tank explosions which weakened the building enough to do its own controlled demolition - perhaps the greatest example of the suspension of the Laws of Nature of the entire day. On this very strange day, the hijackers of the airliners who disappeared into the "butter-gate" were never listed as passengers on the plane's passenger list -- meaning they just walked on board. For the rest of us, we have to show our tickets and the tickets are confirmed by a passenger list. Even higher strangeness followed as some of the hijackers, after having flown these planes and themselves into buildings and the ground, turned up alive living in Saudi Arabia, Morocco and elsewhere. SCALAR WEAPONS USED IN 9/11? The applications of this technology alone are numerous. Reposted video that was on my original channel. Please circulate, remix, share the information; link to article is below.. Thank you. This film has been a very big help to me personally, as it connects the dots of what many other people have said at one time or another and fits all the pieces of the giant jigsaw together. One of the plans mentioned in this video was for the WEST as stooges of ISRAEL, to take over 7 countries in 5 years. Five of them have now been taken over including Iraq and Libya. However, it is very interesting as in regards to Bible prophecies from EZEKIEL 38-39 being fulfilled that Iran and Syria have NOT been destabilised and destroyed with ‘regime change’ on behalf of extremist elite elements in Israel including the Prime Minister Netanyahu and the Israeli controlled Neo-cons of the Deep state running the governments of the USA. In spite of the Israeli led DEEP STATE acting on behalf of the ZIONIST to conquer the lands of SYRIA and parts of Jordan, Iraq and Egypt to make ERETZ (Greater Israel), it doesn’t appear that the ZIONISTS will succeed as Ezekiel 38-39 describes a war win the which Russia along with Iran, Turkey and Germany will actually fight against Israel and destroy two thirds of it! So, it looks like God Almighty Himself will put an end to the ZIONIST aspirations and DESTROY THEM THAT DESTROY THE EARTH i.e ISRAEL and the ZIONISTS along with their stooges the MERCHANTS. The following is describing the Final destruction of the USA as representing the GREAT WHORE of REVELATIONS 17-18, along with ISRAEL who leads the USA astray! REV.11:18 And the nations were angry, and thy wrath is come, and the time of the dead, that they should be judged, and shouldest destroy them which destroy the earth. REV.17:2 With whom the kings of the earth have committed fornication, and the inhabitants of the earth have been made drunk with the wine of her fornication. REV.18:7 How much she hath glorified herself, and lived deliciously, so much torment and sorrow give her: for she saith in her heart, I sit a queen, and am no widow, and shall see no sorrow. REV.18:8 Therefore shall her plagues come in one day, death, and mourning, and famine; and she shall be utterly burned with fire: for strong is the Lord God who judgeth her. REV.18:10 Standing afar off for the fear of her torment, saying, Alas, alas that great city Babylon, that mighty city! for in one hour is thy judgment come. REV.18:16 And saying, Alas, alas that great city, that was clothed in fine linen, and purple, and scarlet, and decked with gold, and precious stones, and pearls! REV.18:18 And cried when they saw the smoke of her burning, saying, What city is like unto this great city! REV.18:19 And they cast dust on their heads, and cried, weeping and wailing, saying, Alas, alas that great city, wherein were made rich all that had ships in the sea by reason of her costliness! for in one hour is she made desolate. 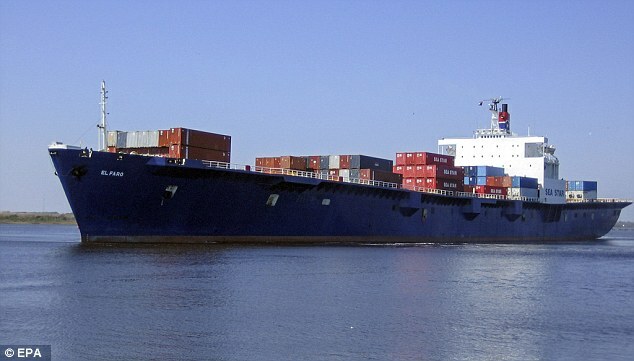 IS THIS MASSIVE CARGO SHIP THE VERY LATEST CASUALTY OF THE BERMUDA TRIANGLE? The phrase Bermuda Triangle was first used in 1964 to describe an area of ocean off the coast of Florida where it was claimed an unusually high number of ship disappearances took place. While the phrase was not coined until then, sailors had been noting for decades that the waters between Florida, Bermuda and the Bahamas contained hidden dangers. Perhaps the earliest record of strange goings-on in the area came from Christopher Columbus when he reported strange compass readings going through the area in 1492. While many debate the Triangle's significance, arguing that it is no more or less dangerous than any stretch of open sea , the legend has stuck - and some mysteries still remain unsolved to this day. 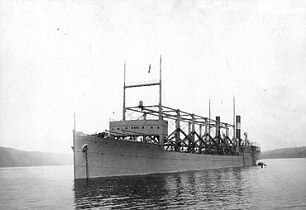 The Cyclops was a coal-carrying ship used to ferry fuel to American warships during World War One, and was on its way from Bahia, in Salvador, to Baltimore when it vanished in 1918. No wreckage from the 542ft vessel has ever been found, nor has any trace of the 306 crew and passengers it was carrying at the time. While in theory it could have disappeared anywhere between Bahia and Baltimore, not necessarily in the Triangle, supporters of the theory argue that the lack of a distress call from the vessel means it met with a supernatural end. The 309 killed on board the Cyclops remains the single biggest loss of life in U.S. Naval history not involving combat. 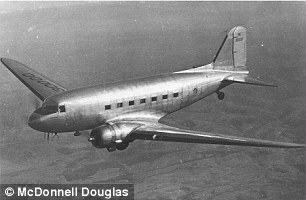 The Douglas DC-3 passenger plane disappeared in 1948 while on a flight from San Juan, Puerto Rico, to Miami despite good conditions. The weather was fine, though a little windy, and visibility was excellent as the aircraft made its way over the Triangle. The last radio transmission to come from the craft was from the pilot, saying he was 50 miles from Miami, but the plane never showed up. 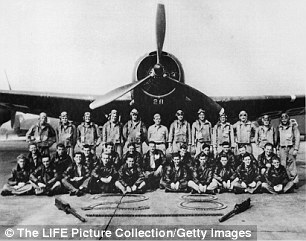 To this day nobody knows what became of the plane, or the 32 people on board. Perhaps the most famous of all the Bermuda Triangle mysteries, Flight 19 was a squadron of five Avenger torpedo bombers that became lost and then vanished while taking part in a training mission over the Triangle in 1945. Lead by experienced pilot Lt. Charles Taylor, the rest of the squadron was made up of students under his command. On the day they vanished they were taking part in a practice bombing run, tasked with flying west from the airbase at Fort Lauderdale over the Triangle, 'hitting' targets on Chicken Shoals, then returning back to base. However, during their outward journey Lt. Taylor became convinced that the squadron was not over the Triangle, as it should have been, but was instead flying over the Florida Keys, which was several hundred miles to the south. Certain that the planes had taken off in the wrong direction, he turned his students north east, in the hopes of reaching Miami, but they never made it. Commanders at Fort Lauderdale were in contact with Flight 19 throughout the rest of the day, though radio transmissions often crackled in and out. Towards the end of the day, with communications failing and a storm approaching, a search party was launched. None of the search planes were able to locate the five Avengers and, to make matters worse, one of the rescue craft disappeared itself. You can read extensively about the BERMUDA TRIANGLE in my book "OUT OF THE BOTTOMLESS PIT"
"On March 8th 2014, a Malaysian aircraft vanishes without trace. Even with the modern technologies which can pinpoint nearly every mobile phone on earth up to a meter away, we are told that the plane has vanished into thin air; but are we being told the truth? Theories abound as to what really happened in this unfortunate incident, from a possible terrorist attack to a vortex in the time / space continuum or a “Bermuda Triangle” type effect! Four months later another Malaysian aircraft is supposedly just blown out of the sky. Are we really supposed to believe that two Malaysian 777 aircraft just happened to be destroyed within months of each other? -Bit of a coincidence there, don’t you think? Something simply just doesn’t add up! Many say that technology has advanced much further than most of us are being told. So perhaps there is more to this story, as well as other strange phenomenon which seems to be abounding of late. Is it true that something of this nature was being used in this case and if so, how has this happened? This book starts off with talking about the “paranormal strange mysteries” of our planet but amazingly shows countless examples where such things have been already written about in very ancient books including the Bible. This book will take you from the Bermuda Triangle to Life after Death Experiences; from Sinkholes to the Bottomless Pit; from personal encounters with UFOs to alien technology and alien abductions; from premonitions of ancient prophecies which are presently coming true to warnings of dire things yet to come upon the horizon in the very near future. It delves into the political & economic spheres as well as the sinister forces behind them. The truth is often stranger than fiction,” as the old saying goes. In a word, this book covers nearly everything from heaven to hell and in-between and just where all of this futuristic technology is leading too. Many believe it to ultimately leading to the long awaited and Biblically predicted “Mark of the Beast” and the prophesied 7 year reign of the Antichrist, while others, mainly in the scientific community, believe we are headed for a Trans-Human UTOPIA. Having seen with my own eyes and personally witnessed many supernatural things which have occurred over the course of my life, I have to opt for the first scenario winning out here shortly! I believe this book will point the way and hopefully lead you to the same conclusion." A very quick summary of the Bermuda Triangle would be to say in a sentence, that there is a triangular area between the Florida coast at Miami, extending to the Bermudas and Cuba where many ships, planes & people have disappeared! This information has been verified by shipping authorities, and the Air-forces of many countries. I have personally spoken with those, such as Shipping Authorities, who have confirmed these disappearances, or more accurately stated, gone without a trace. The Bermuda Triangle* is located in the South-Atlantic ocean. Although many ships and aircrafts sink in the triangle, there are also many that sink outside of the Bermuda Triangle. There is no real triangle if you look at a map of all the wrecks in the Atlantic... Ocean Floor: North-American Continental Shelf explains the wonderful blue water of the Caribbean. In many places throughout the Caribbean Islands when flying over the shelf it is possible to see large objects submerged several feet under the water. It’s a splendid sight and it would make it seem that finding a lost plane submerged in these parts quite easy, especially in this day of Black Boxes. The Black boxes don’t work very well when they are submerged. Also, when the sandy bottom of the ocean floor is disturbed it can often cause the sand to lift up into a cloud and resettle on top of whatever disturbed it. To make matters worse, if a boat has capsized it may go completely unnoticed by all but the most sophisticated sonar equipment. Nearly everyone knows of the Bermuda Triangle, that mysterious area in the Atlantic where ships and planes have been disappearing without a trace. All manner of bizarre occurrences have been reported there, from magnetic anomalies to freak storms and waves, to the complete cessation of all electrical activity. On almost the exact opposite side of the planet, in the Pacific Ocean off the coast of Japan, there is a similar, though less widely known, mystery of the sea. The Japanese call it the Ma-no Umi: the Sea of the Devil, but it is also known as the Dragon’s Triangle or Dragon Sea. The area has been designated a “Danger Zone” by the Japanese government, and even the United States Air Force has expressed concern over aircraft disappearances there. The big question is what are these mysterious triangles? It has been reported by thousands of pilots, sea-captains, yacht owners and people who survived strange events in these triangles about the mysterious nature of the triangle. One of the things commonly reported is the “missing time” events* Passengers of planes arriving at the airport, only to find that they were an hour early, or an hour late, as verified by all of their watches, including the clock on-board, being out of synchronization by an hour. How can one explain that? Secondly: how did these destructive triangles come into being? Thirdly: Were the triangles actually created by some sinister force, or aliens of another race or by whom? There are many theories in answer to these questions. One thing we do know for certain is that the triangles can be very destructive and dangerous. Personally I think it very likely that the Bermuda Triangle is either a gate-way to other dimensions, or the gate-way to Hell. Maybe it’s both! It could also be some sort of “fishing ground” for human souls. In the book by Charles Berlitz (written in 1978), there is a fantastic amount of other information as I mentioned above. One of the most intriguing things in the whole book is the mentioning the possibility that the “Earth is not solid”, as we have been taught, but is in fact hollow! I personally studied at two different universities. At one of the universities I studied electronics, maths, thermodynamics & physics. With time & study, I have found that much of what I was taught was incomplete or even totally erroneous! Why? Because much of science assumes the physical world is the only world, which is a very incomplete science indeed! The following is about the mysterious disappearance of Malaysian flight ML 370, a 777 airplane on 08/03/14. It has not yet been established what the cause for this plane’s disappearance was? I am not saying we yet know what happened to Flight ML 370, but the mitigating circumstances are yet very typical of Bermuda Triangle phenomena. Only time will tell! Looking at the information about the plane, it would indeed seem like a very strange disappearance without a trace. I could quote hundreds of examples; this is probably the latest from 2014, & one from 2009; both planes with more than 210 people on aboard......and very disturbing! Did this aircraft disappear into some sort of Bermuda Triangle? On Saturday, March 8, 2014, a Malaysia Airlines Flight 370 (MH 370) took off from the Kuala Lumpur International Airport, Kuala Lumpur, Malaysia, at 00:41 MST (March 7, 16:41 UTC) with 227 passengers and 12 crew members on board. It was a scheduled six-hour flight to Beijing Capital International Airport, Beijing, China. This international passenger flight operated by a Boeing 777-200 ER was also designated under a code share agreement as China Southern Airlines Flight 748 (CZ 748). At 07:24 MST, Malaysia Airlines issued a media statement confirming that the aircraft was last seen on Air Traffic Control (ATC) radar at 02:40 MST (March 7, 18:40 UTC) at 6°55'15"N 103°34'43"E, approximately 100 miles (180 km) North of Kuala Terengganu, Malaysia. After that the aircraft ceased all communications, and the transponder signal was lost just before it was to be passed off to the Ho Chi Minh Area Control Centre in Vietnam. Authorities in Thailand and China informed their Malaysian counterparts that the aircraft had not entered their airspace. According to the military radar of Malaysia’s air force, the aircraft may have turned back before disappearing. Malaysia Airlines said the plane’s pilot Captain Zaharie Ahmad Shah, a 53-year-old who has been with the airline for over 30 years, and the plane’s first officer Fariq Hamid, a 27-year-old who joined the airline in 2007 are Malaysians. On-board the plane, there were 152 passengers from China, 38 from Malaysia, seven from Indonesia, six from Australia, five from India and three from the U.S., and others from Indonesia, France, New Zealand, Canada, Ukraine, Russia, Taiwan and the Netherlands. What puzzles all is the fact that before vanishing from the radar screens the aircraft did not relay any distress signal, or convey any indications of bad weather or technical problems; and it was carrying a sufficient amount of fuel for an additional 7.5 hours of flight. The Aviation Herald website reported that Subang Air Traffic Control lost radar and radio contact with the aircraft at 01:22 MST and officially advised Malaysia Airlines at 02:40 MST that the aircraft was missing. But, a Malaysia Airlines spokesperson said that the last conversation between the flight crew and air traffic control in Malaysia had been around 01:30 MST, and stated that the plane had not disappeared from air traffic control systems in Subang until 02:40 MST, which is long enough for the plane to have been flying across Vietnam. The discrepancy in time of last communications, from 01:22 to 02:40 between Subang Air Traffic Control & Air Traffic Control in Malaysia is very typical of disappearances in the Bermuda Triangles. How did this aircraft with 227 passengers and 12 crew members on board disappear without any trace? This reminds me of the Bermuda Triangle, The Devil’s Sea, and the vile vortices where a number of aircraft and ships are said to have disappeared under mysterious circumstances. 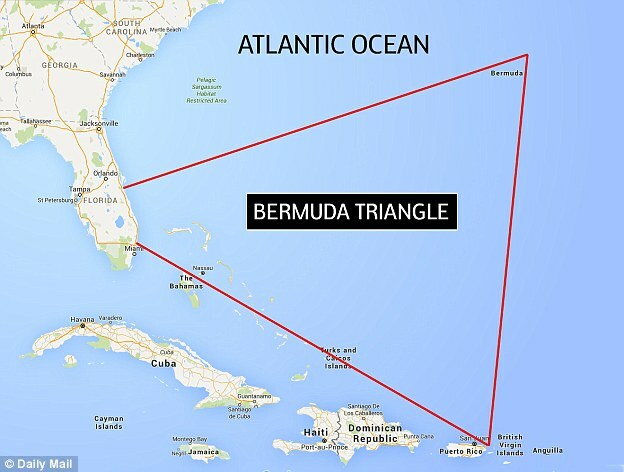 The Bermuda Triangle, also known as the Devil’s Triangle, is an undefined region in the western part of the North Atlantic Ocean, where a number of aircraft and ships are said to have disappeared under mysterious circumstances. The Dragon’s Triangle, also known as the Formosa Triangle, and the “Pacific Bermuda Triangle”, is a region of the Pacific around Miyake Island, about 100 km south of Tokyo. The Japanese call it the Ma-no Umi meaning the Devil’s Sea. The Dragon’s Triangle, is one of 12 Vile Vortices, originally plotted by Ivan T. Sanderson. The size and area varies with the reports that originated from the 1950s. Various reports locate it 68 miles (110 km) from an unspecified part of Japan’s east coast, 300 miles (480 km) from the coast, and one report places it near Iwo Jima which is 650 nautical miles (750 miles; 1,200 km) south of mainland Tokyo. Charles Berlitz, author of books on paranormal phenomena, states in his entertaining book The Dragon’s Triangle (1989) that in the peacetime years between 1952-54 Japan lost five military vessels with over 700 crew members. The Japanese government then sent a research vessel with over 100 scientists on board to study the Devil’s Sea, and that vessel too vanished. According to Berlitz, that sea region was officially declared a danger zone on Japanese maps. Ten of Ivan Sanderson’s 12 vortices set at regular intervals around the earth. The North and South Pole account for the 11th and 12th vortices. Sanderson asserts that twelve “vortices” are situated along particular lines of latitude. The best known of the so-called “vortices” is the Bermuda Triangle. Others include Algerian Megaliths to the south of Timbuktu, the Indus Valley in Pakistan, especially the city of Mohenjo Daro, Hamakulia Volcano in Hawaii, the “Devil’s Sea” near Japan and the South Atlantic Anomaly. Five of the vortices are on the same latitude to the north of the equator; five are on the same latitude to the south. The other two are the north and south poles. So, up to now, the mystery of the disappearance of Malaysia Airlines Boeing 777 (Flight MH 370) continues. One of the passengers Paul Weeks,(39) a mechanical engineer ,had a premonition that something would go wrong on the flight, & handed his wedding ring and watch, to his wife Danica before boarding the plane. He was father-of-two from Perth, Australia, & he left his wedding ring and watch, to give to his children in case something happened to him before boarding the missing Malaysia Airlines flight, as he flew out to start a dream job in Mongolia. Last night (12/03/14), the Chinese government showed a satellite photo of a blurred picture, showing a whole bunch of roundish white objects (around 10) all bunched up together in the South China Sea. They stated that the photo had been taken the Sunday 9th March or 4 days earlier. They said it could have been the missing plane. Even the BBC newscaster was very surprised that in light of this tragedy and terrible sorrow and anxiety of the grieving and waiting relatives, that it took China four days to release the satellite photo? However in the days since there has been no evidence that a plane sank in the area of the Chinese satellite photo. Almost enough time to stage some sort of fabricated answer to the mystery, to stop people panicking & to try to put the people of the world back to sleep as to what really happened to the missing plane! If the plane had sunk in the sea, as China would have us believe, then those mobile phones would no longer be able to ring! If the plane landed over the land, there are thousands of radar antennas which should have picked up the plane’s radar signals. Disappearance of Malaysia Airlines Flight 370 begins to demand supernatural explanations*Why were many of the passengers’ mobile phones still ringing, when they were subsequently contacted by relatives? Many appeared to still be connected with the internet 4 days after the plane vanished? The batteries of the mobile phones normally run out after 24 hours! A joint search-and-rescue effort by American, Australian, Chinese, Filipino, Indonesian, Malaysian, Singaporean, Thai, and Vietnamese authorities, is now under way mainly over the South China Sea. Whenever there is a big mystery that simply cannot be explained with normal science and logic, to appease the public, and to quash their questions and even investigations, the “elite” who control most of the world’s governments always agree to put out some official explanation to stop people from panicking or worse, find out the real truth! Today one of the newspapers in the UK was stating that they believed that two Iranians who had used false passports on the flight were terrorists and had blown-up the plane. It is plain crazy to even print that headline, as two days ago it was proved that those two Iranians had absolutely no connections with terrorism. The USA also confirmed that their satellites did not detect any explosions in the air in the area of the disaster. The USA and allies are just looking for an excuse to attack Iran, so it’s time to blame the disaster on the Iranians! God help us! We live in a very crazy world where, as George W. Bush stated on TV, “the Truth is whatever I say it is!” The world governments are so arrogant that they do not really care about the grieving relatives of this Malaysian Air disaster. Some relatives know this and at a recent conference with the Malaysian authorities, the relatives started throwing water bottles when the authorities were giving the official story of the disaster. The people know when they are being lied to, for convenience. My hope and prayers are that somehow this plane will yet be found and all of its passengers, safe! My sincerely hope is that this plane was not yet another victim of the Bermuda/Devil’s Triangle. Here is yet another mystery that was never solved of a French airline which disappeared in 2009. (Jun 1, 2009) An Air France plane is missing. The Agency France-Press reported that an Air France Airbus A330-200 wide-body jet carrying 216 passengers and 12 crew members disappeared off of the radar screens Monday somewhere off of Brazil’s Atlantic coast. Flight AF447 out of Rio de Janeiro was headed for Paris. According to the Mirror, Air France reported that the plane had radioed in that they were going through turbulence. They also reported that a message, “signalling electrical circuit malfunction,” was received before it disappeared. A search for the missing plane is being conducted by the Brazilian air force. Two squadrons are currently involved. A spokesman for the air force told CNN that the search area was approximately 225 miles off the archipelago of Fernando de Noronha. The French are also involved in the search. The French ambassador to Senegal announced that French aircraft are searching off of the coast of Senegal near Cape Vert (Cape Green). Some have speculated that lightning may have caused the Airbus to crash, but aeronautics experts believe the scenario unlikely for a modern aircraft. Of course, the disappearance in this region has also set off speculation about the Bermuda Triangle as well. Depending upon which aficionado to which one might refer, the Bermuda Triangle encompasses an immense area, sometimes including part of the Atlantic Ocean above the northern coastline of South America. Over the years, hundreds of ships and airplanes have been reported missing in the area, attributed to all sorts of natural and unnatural phenomena. There exists a widespread belief that the area causes -- for any number of reasons (from magnetic anomalies to UFOs) -- ships and aircraft to vanish. In the words of Malaysia’s civil aviation chief, the fate of MH370 is “a mystery.” The Boeing 777 took off from Kuala Lumpur in Malaysia en route to Beijing, was cruising normally at 35,000 feet… and then disappeared. There was no distress call. The weather was fine. Most shocking aspect of the MH370 disaster is that we won’t know what fate befell those 239 souls until we find MH370’s Flight Data Recorder (FDR), aka the black box. In the case of Air France flight AF447, which disappeared off the coast of Brazil, it took two months to locate the wreckage, and almost two years to find the Cockpit Voice Recorder (CVR) and FDR. Please see Appendix at the very end of this book for amazing new information concerning the missing flight MH370.